In April, I noted that I thought the gold bull market is over. Since then, gold has fallen over 10% down to below $1400 today. That’s quite a severe correction. Correlation, of course, is not causation, but this is an interesting association. Gold flourished on the back of a deep and severe correction in the housing market. Demand for gold as a countercyclical alternative asset proved very strong in the years when very few other assets and asset classes were performing, and prices soared. So it stands to reason that a large number of individuals putting their money into gold in the boom years were putting their money there because of risks and losses in other markets and areas, and because of the belief that gold was a safe, antifragile asset for troubled times. In 2011, according to Gallup, a plurality of Americans considered gold to be the best asset class to own — something of a psychological bubble that has been burst as prices have fallen. Indeed, in 2013, gold has been knocked off its perch by real estate — a sensational comeback given the depth of the real estate slump. Real estate, of course, was also ranked the safest in 2006 before the bubble burst. What this signifies is that money, credit and sentiment that once upon a time was flowing into gold and alternative investments is now flowing back into more traditional investments like real estate now that prices are rising again. So long as investments like stocks and housing that produce a yield continue rising in price, the incentive driving this trend will continue to exist. Investments once thought antifragile — gold, but also AAPL, guns and ammunition, etc — may prove fragile to a different (and less apocalyptic) economic climate. 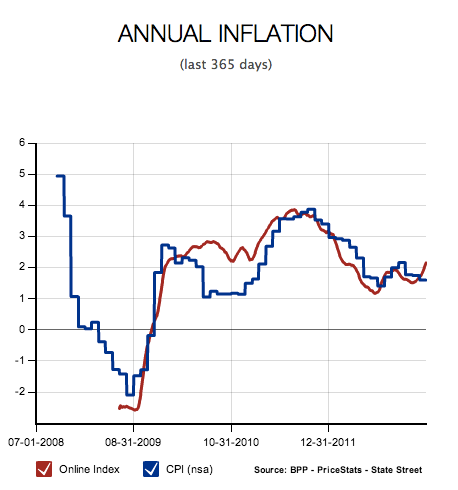 Our economists forecast that the US economic recovery will slow early in 2013 before reaccelerating in the second half. They also expect additional expansion of the Fed’s balance sheet. Near term, the combination of more easing and weaker growth should prove supportive to gold prices. Medium term however, the gold outlook is caught between the opposing forces of more Fed easing and a gradual increase in US real rates on better US economic growth. Our expanded modeling suggests that the improving US growth outlook will outweigh further Fed balance sheet expansion and that the cycle in gold prices will likely turn in 2013. Risks to our growth outlook remain elevated however, especially given the uncertainty around the fiscal cliff, making calling the peak in gold prices a difficult exercise. We lower our 3-, 6- and 12-mo gold price forecasts to $1,825/toz, $1,805/toz and $1,800/toz and introduce a $1,750/toz 2014 forecast. 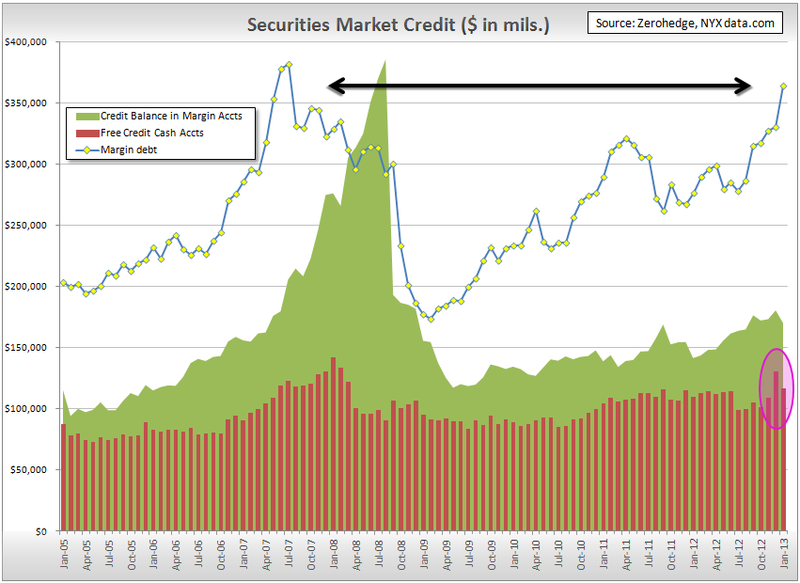 While we see potential for higher gold prices in early 2013, we see growing downside risks. Goldman’s forecast is based on the idea that real rates will rise due to stronger economic growth in the second half of 2013 and beyond. 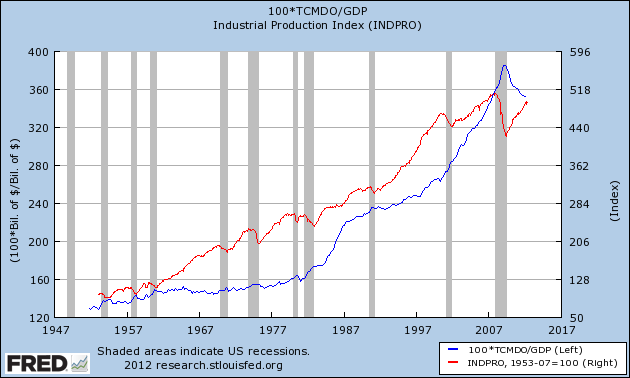 But the notion of strengthening economic growth in the second half of 2013 and beyond is deeply problematic. The total debt to GDP ratio is still above 350%, far, far far above the historical norm and a huge burden on the economy. The service costs of all that debt (sustained only by Fed liquidity helicopters — without the bailouts and liquidity lines, the unsustainable debt would have all been liquidated in 2008) is keeping the economy (and thus, real interest rates) depressed. This means that the supposed recovery — and any such attendant dip in gold prices — is extremely unlikely to materialise. In fact with Goldman’s track record of giving bogus advice to clients and then betting against it, this call could very easily signal that we are on the edge of another seismic upswing in the gold price. There is history here. Goldman’s previous bearish calls on gold locked their African gold-mining clients into money-lossing derivative deals. In 1998, Ashanti Gold was the 3rd largest Gold Mining company in the world. The first “black” company on the London Stock Exchange, Ashanti had just purchased the Geita mine in Tanzania, positioning Ashanti to become even larger. But in May 1999, the Treasury of the United Kingdom decided to sell off 415 tons of its gold reserves. With all that gold flooding the world market, the price of gold began to decline. By August 1999, the price of gold had fallen to $252/ounce, the lowest it had been in 20 years. Ashanti turned to its Financial Advisors – Goldman Sachs – for advice. Goldman Sachs recommended that Ashanti purchase enormous hedge contracts – “bets” on the price of gold. Simplifying this somewhat, it was similar to when a homeowner ‘locks in’ a price for heating oil months in advance. Goldman recommended that Ashanti enter agreements to sell gold at a ‘locked-in’ price, and suggested that the price of gold would continue to fall. But Goldman was more than just Ashanti’s advisors. They were also sellers of these Hedge contracts, and stood to make money simply by selling them. And they were also world-wide sellers of Gold itself. In September 1999 (one month later), 15 European Banks with whom Goldman had professional relationships made a unanimous surprise announcement that all 15 would stop selling gold on world markets for 5 years. The announcement immediately drove up gold prices to $307/ounce, and by October 6, it had risen to $362/ounce. Goldman pocketed a shitload of money; clients ended up getting socked in the mouth. Goldman publicly turning bearish, may be a pretty bullish sign for gold. 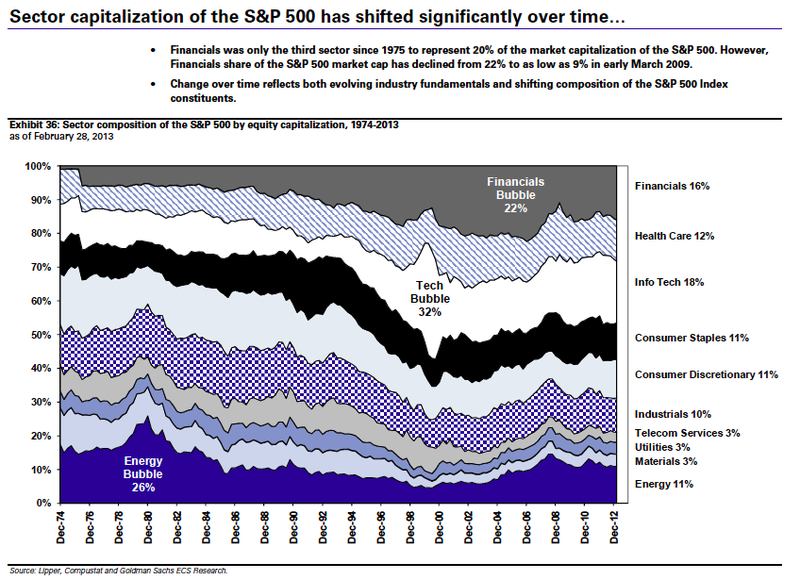 The Contrarian Indicator of the Decade? Now it seems like the euphoria is setting in. And in perfectly, deliciously ironic time, as shares of AIG — the behemoth at the heart of the 2008 crash — are returning to the market. Because reintroducing bailed-out companies to the market worked well last time didn’t it? Markets are down a hair today, but the theme of the morning is clear: Uber-bullishness. Everywhere. 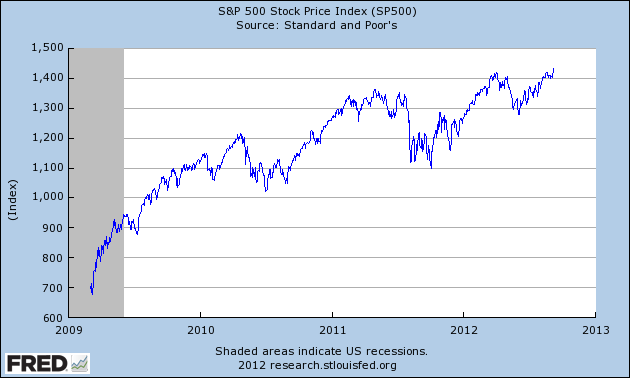 This is the most unanimously bullish moment we can recall since the crisis began. Note that this comes as US indices are all within a hair of multi-year highs, and the NASDAQ returns to levels not seen since late 2000. Big macro hedge funds, who have been famously flat-footed this year, are now positioned for a continued rally. Macros bought the NASDAQ 100 to a net long for the first time since June, continued to buy the S&P 500 and commodities, increased EM & EAFE exposures, sold USD and 10-year Treasuries. In addition, macros reduced large cap preference. We think the positive environment for risk assets can and will last over the next 3-6 months. And this is not because of a strong economy, as we foresee below potential global growth over the next year and are below consensus expectations. Overall, we continue to see data that signal that world growth is in a bottoming process. The market decided rose tinted glasses were not enough, put on its dark shades and hit the nightlife. 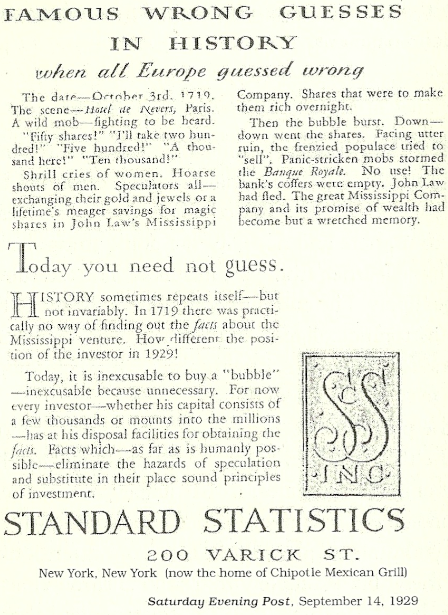 And the uber-bullishness is based on what? Hopium. Hope that the Fed will unleash QE3, or nominal GDP level targeting and buy, buy, buy — because what the market really needs right now is more bond flippers, right? Hope that Europeans have finally gotten their act together in respect to buying up periphery debt to create a ceiling on borrowing costs. Hope that this time is different in China, and that throwing a huge splash of stimulus cash at infrastructure will soften the landing. But in the midst of all that hopium, let’s consider at least that quantitative easing hasn’t really reduced unemployment — and that Japan is still mired in a liquidity trap even after twenty years of printing. Let’s not forget that there is still a huge crushing weight of old debt weighing down on the world. Let’s not forget that the prospect of war in the middle east still hangs over the world (and oil). 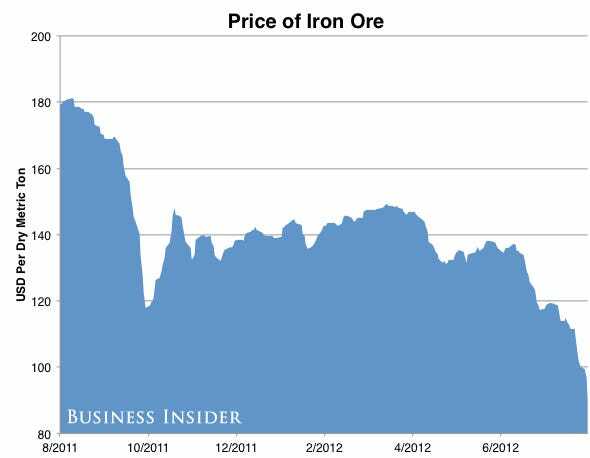 Let’s not forget that the iron ore bubble is bursting. Let’s not forget that a severe drought (as well as stupid ethanol subsidies) have raised food prices, and that food price spikes often produce downturns. Let’s not forget the increasing tension in the pacific between the United States and China (because the last time the world was in a global depression, it ended in a global conflict). It would be unwise for me to predict an imminent severe downturn — after all markets are irrational and can stay irrational far longer than people can often stay solvent. But this could very well be the final blow-out top before the hopium wears off, and reality kicks in. Buying the fear and selling the greed usually works.